Here is a craft that I have been wanting to try after seeing it on Pinterest. 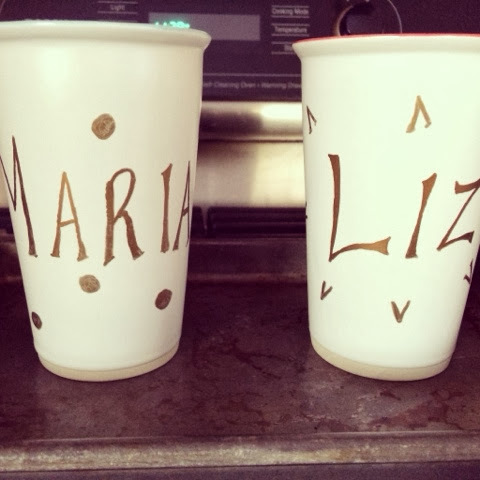 All you need is a Shapie marker and white porcelain mugs. 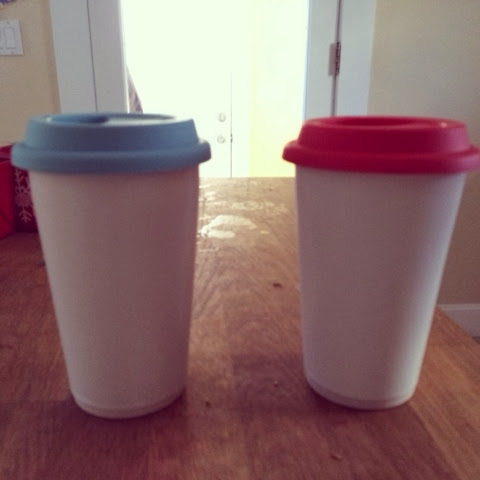 I found this a perfect craft to do for Oliver's pre-school teachers and I found cute porcelain travel mugs. 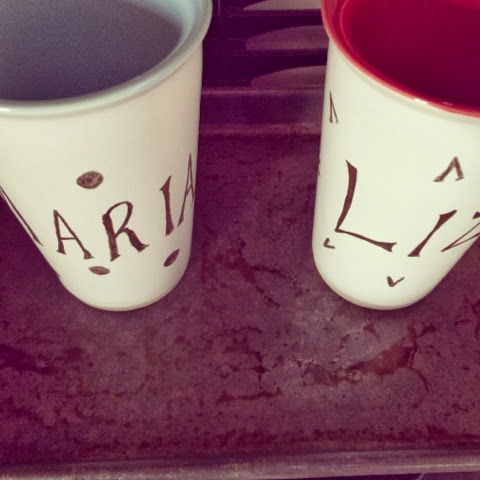 Clean and dry your mugs. 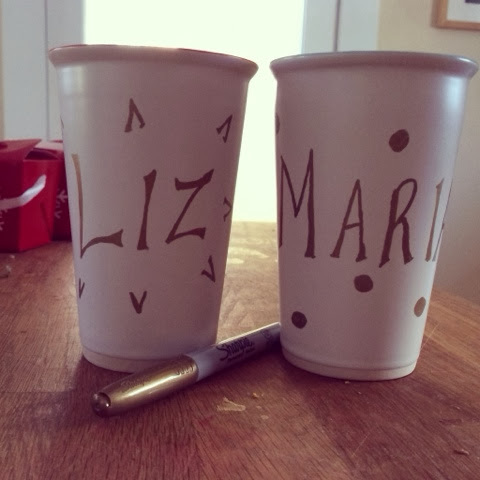 Decorate with your Sharpie pen, I used a metallic one but a matte solid color would work too. Bake in a 350 degree preheated oven for 30 mins. Turn the oven off and let the the mugs cool in the oven. The marker is mostly permanent but hand washing is recommended.